Swimming is an aerobic workout which benefits your overall health and protects you from several diseases. Let us have a look at some health benefits of swimming. Swimming is an effective exercise to burn calories. In the scorching heat of the summers, some people are a bit lazy to hit the gym, while some do not enjoy their workout routines. What if we tell you about an amazing exercise which is apt for the summer season? Even better it offers several health benefits and is super fun. Well! 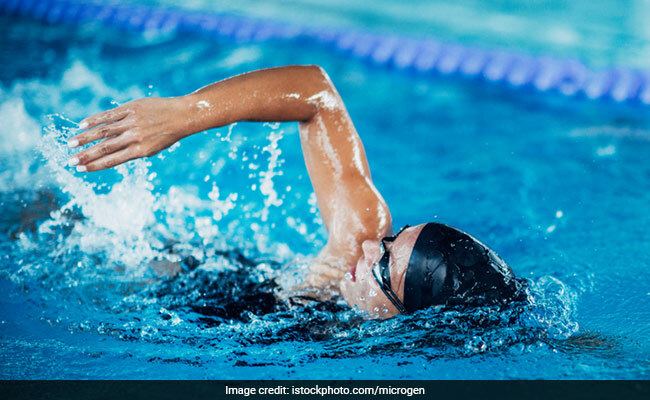 The exercise which should be in your fitness routine this summer season is swimming. Swimming has been called the perfect pool exercise. Swimming is an aerobic workout which benefits your overall health and protects you from several diseases. Let us have a look at some health benefits of swimming. 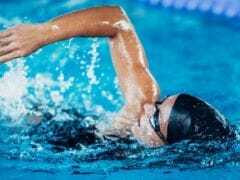 Did You Know How Many Calories Swimming Can Burn? This summertime activity is good for your heart, muscle tone and burns much more calories than any other form of workout. A short but sharp swimming session in cold water could be your alternative to pain killers. Read all about it here. 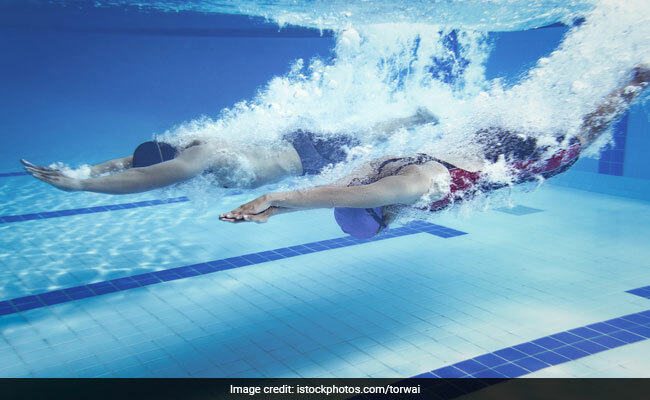 The exercise which should be in your fitness routine this summer season is swimming. Swimming can help you gain muscle strength. This is because when you swim the legs kick and the arms pull. As the back reaches and rotates, the stomach muscles tend to tighten to power the legs and stabilize the core muscles. This makes swimming one of the best full body aerobic exercise. Swimming is a great exercise as it involves stretching, twisting and pulling your way through the water. Repetitive stretching in various strokes helps in enhancing the flexibility. This single workout can help improve endurance and strength in both the upper body and lower body. Due to the weight-bearing properties of the pool, swimming is an excellent exercise for quick weight loss. The full body workout is a great way to burn calories, boost metabolism and tones your body. The more calories you burn, the more fat gets mobilized. As a result, the exercise allows you to burn extra fat in your body. Swimming allows you to become healthier, fitter and better. Asthma is caused due to inflammation in the airways, which blocks the airways and makes it difficult for asthmatic patients to breathe. This makes it beneficial for asthmatics. In addition, swimming can help develop good breathing practices as well. This aerobic exercise can do wonders for people suffering from heart diseases. Swimming can help improve your heart health, lower your cholesterol levels and protect you from several cardiovascular diseases. If you want a good night's sleep, you must start swimming. Swimming is a full-body aerobic exercise, and spending some time in the water, can be really exhausting. This is because your entire body, along with your brain, works constantly while swimming. This in turn helps you to get a sound sleep at night. Swimming boosts endorphins that increase the feeling of well-being. Swimming is very relaxing and the stretching and contracting of muscles can help manage your stress levels, reduce anxiety and depression.